The marble honour roll commemorates those who served in World War One. The honour roll was restored by Darren Crabb, Vice-President of Pittwater RSL Club, and re-dedicated on the 4th November 2016. 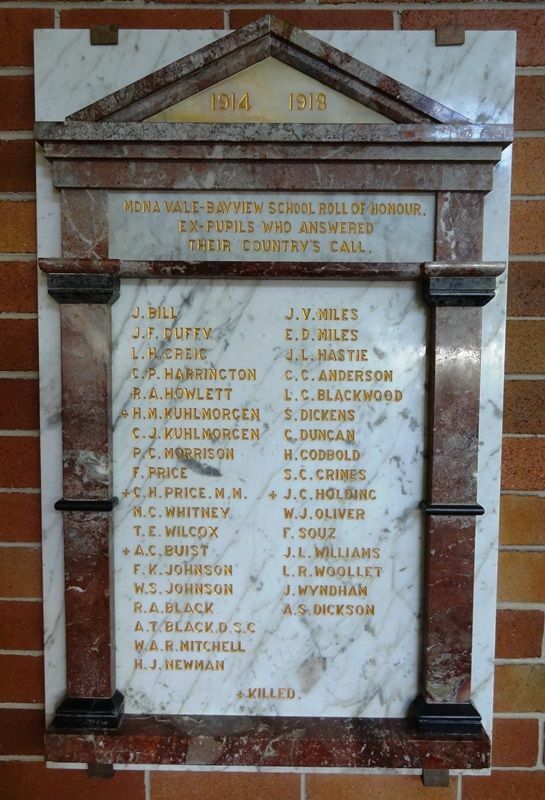 Mona Vale - Bayview School Roll of Honour. Ex-pupils who answered their country`s call.